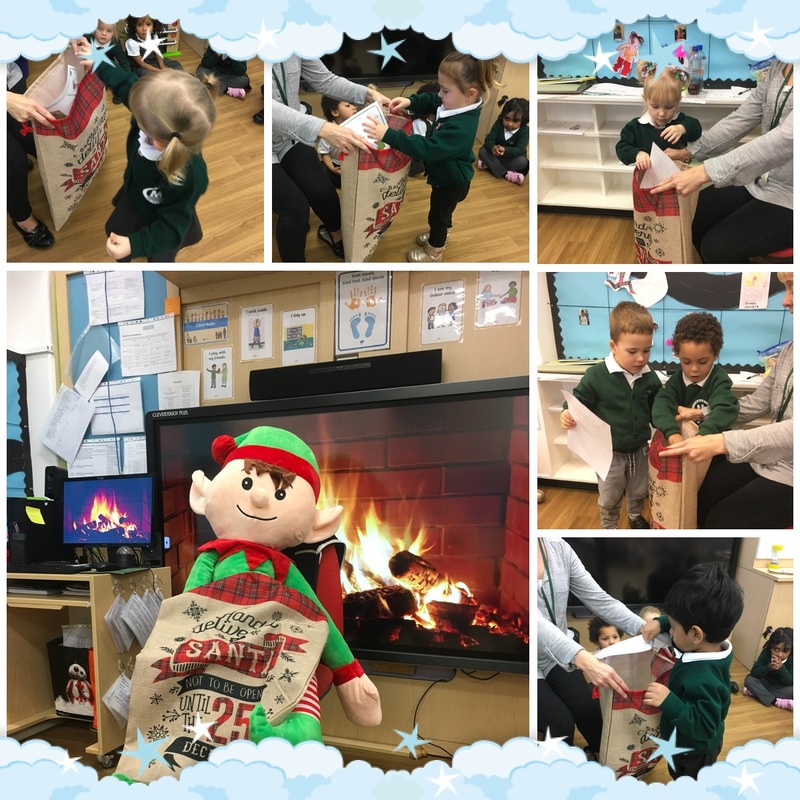 It is good to know that Santa has some helpful elves not just naughty ones. 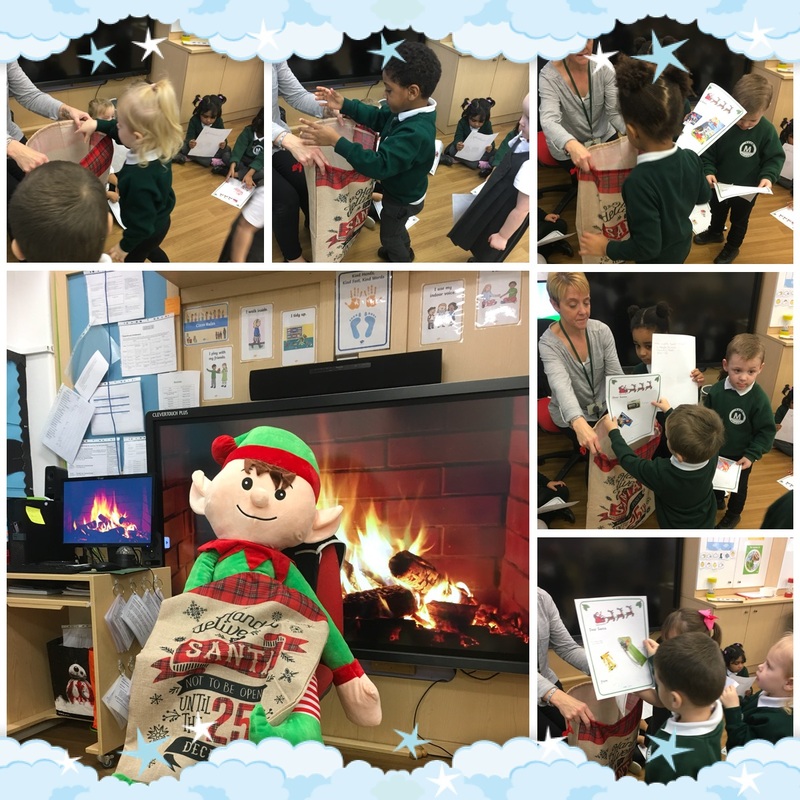 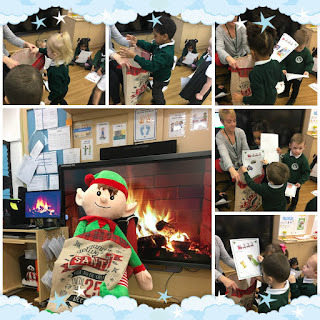 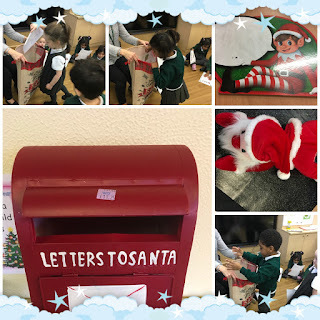 .It has been a bit busy this week in Nursery, Lots of children have felt unwell and the forecast has been for rain so we decided to call on the help of Santa` s elves with the important job of making sure that these very important letters got delivered by Christmas magic to Father Christmas. The children carefully placed their letters in the sack and then waited by morning the letters were gone. We hope Father Christmas likes the lovely letters and realizes what good children we have at Mead Nursery.